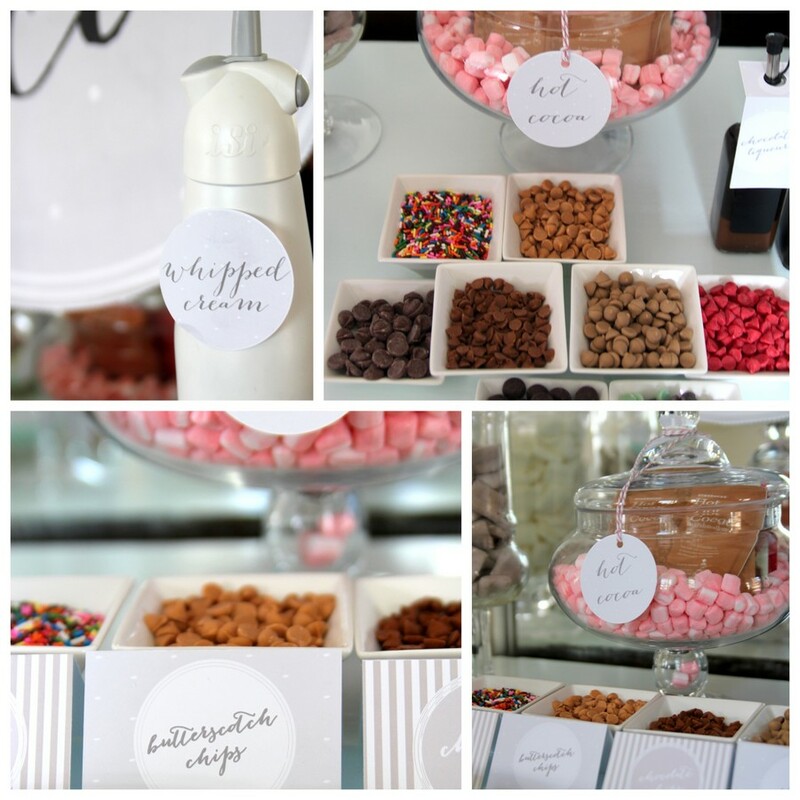 It’s no secret that we love a good drink station (see mimosas, sangria, more mimosas, lemonade). 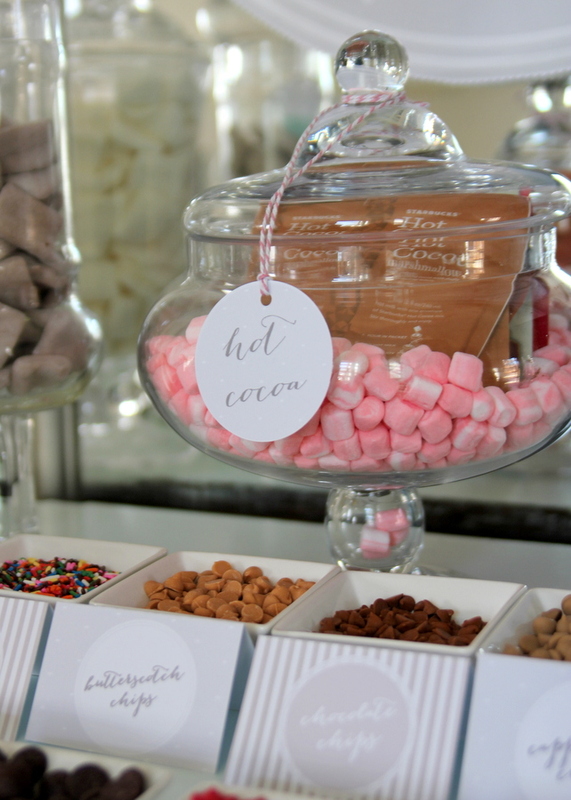 And a Hot Cocoa Bar is the most classic of drink bars. 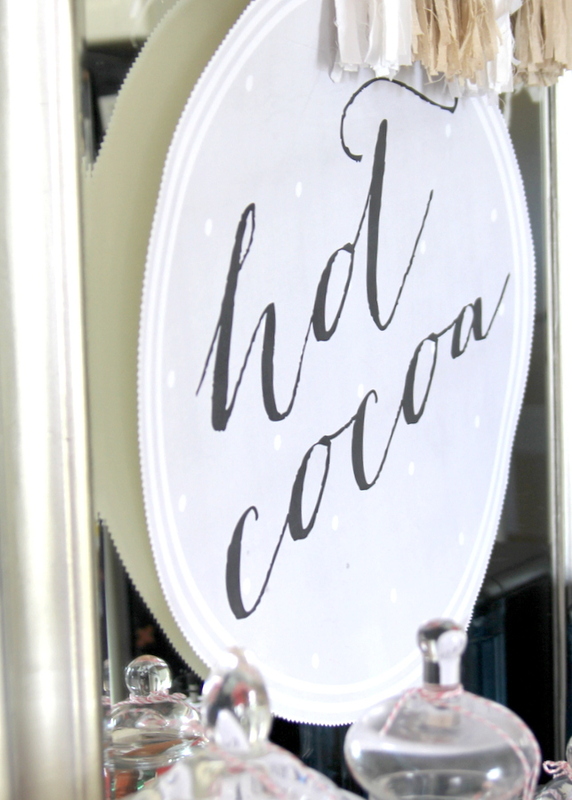 Plus, for a Snow Bunny themed party, what could be more cozy? 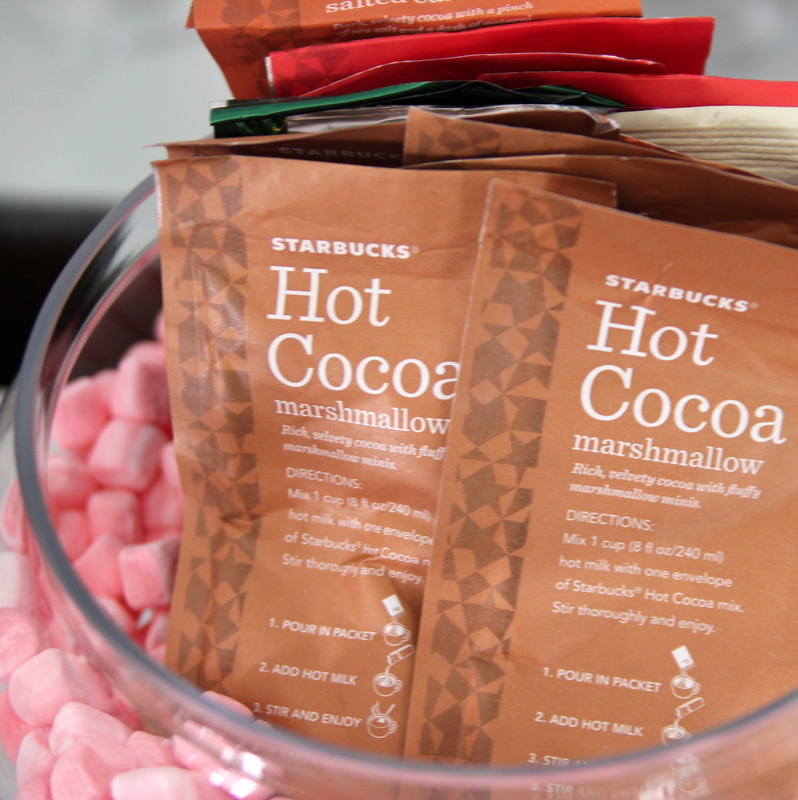 The addition of the Keurig provided a source of always available, constantly hot water- perfection. 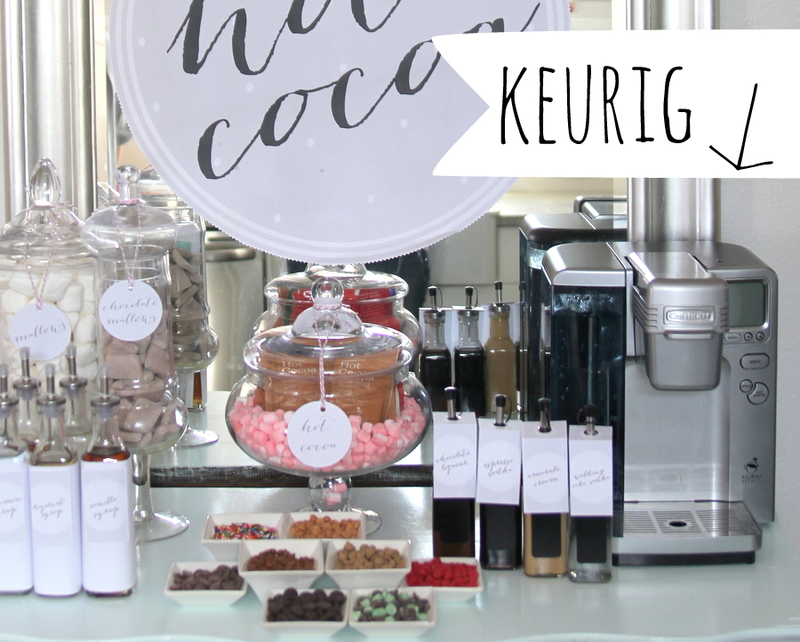 I am doing another Hot Chocolate Bar soon and will definitely bring the Keurig along for that one as well. 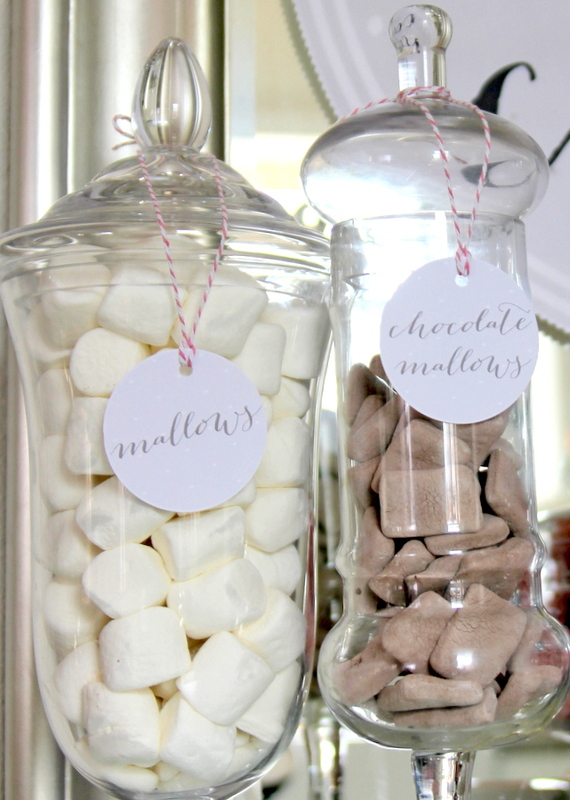 …and a few variations of marshmallows. 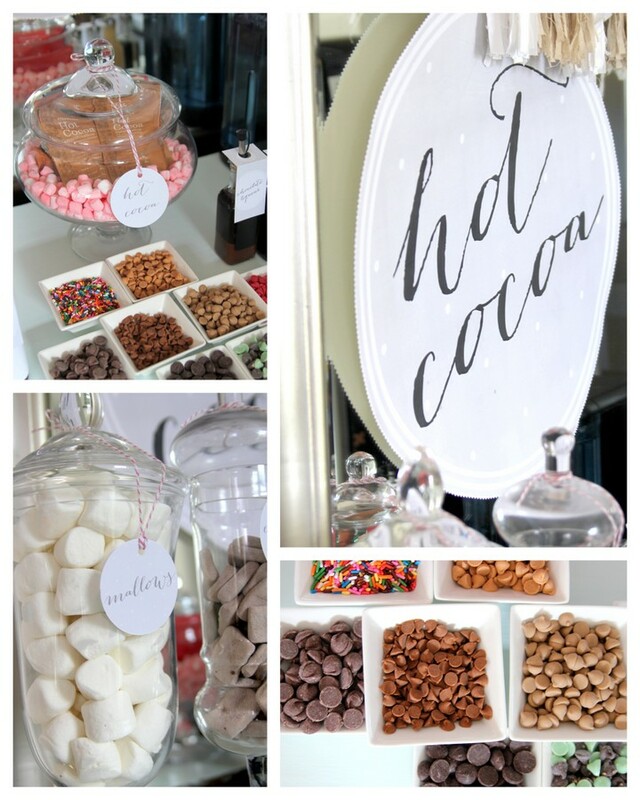 For mix-ins, we set out a buffet of chocolate chips, cherry chips, cinnamon chips, butterscotch chips, mint chocolate chips, cappuccino chips, dark chocolate chips, and sprinkles (for the hot cocoa bar that accompanied the Chocolate Shower, there were even more mix-ins if you’re looking for more ideas). 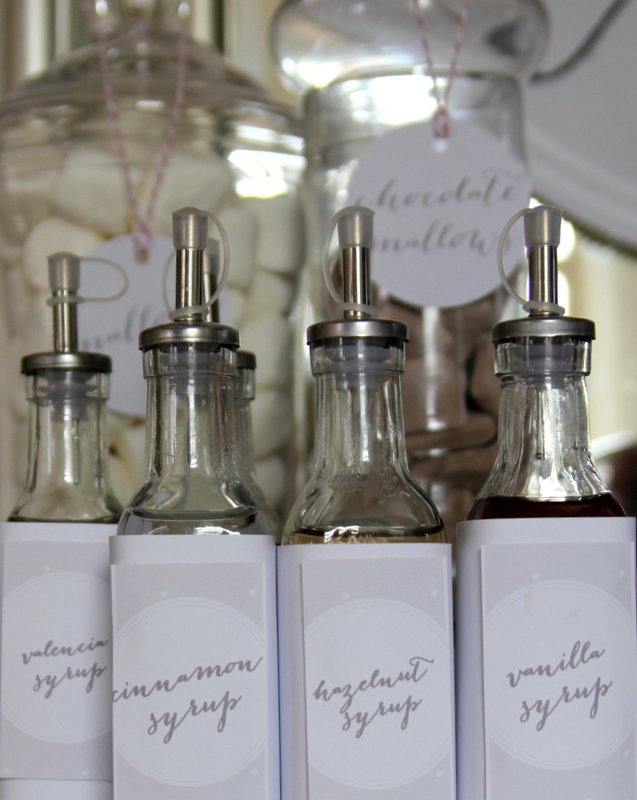 We also had a Grown Ups Only section of wedding cake vodka, chocolate liqueur, amarula cream, and espresso vodka to add a little ‘punch’ to a traditional cocoa concoction. 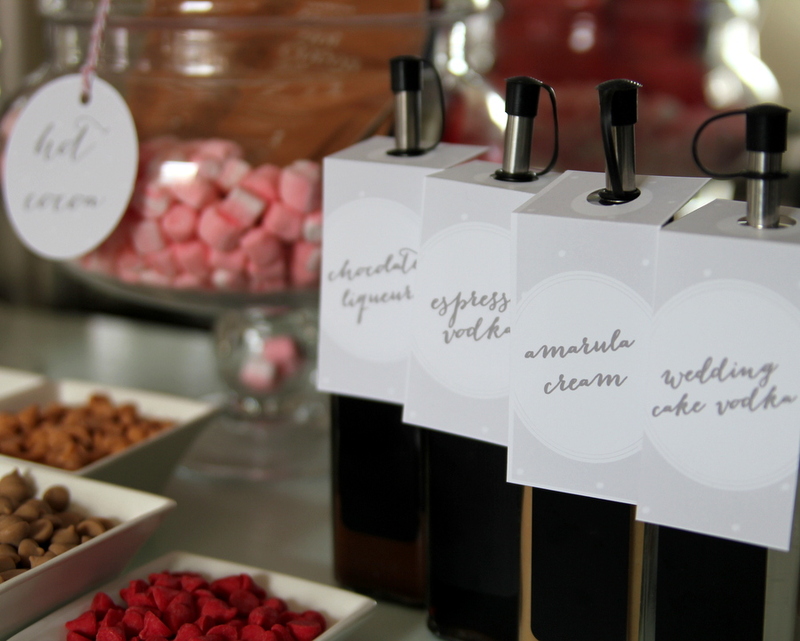 And for kid-friendly options, we had a whole lineup of syrups- vanilla, hazelnut, valencia, cinnamon, raspberry, coconut, and peppermint. 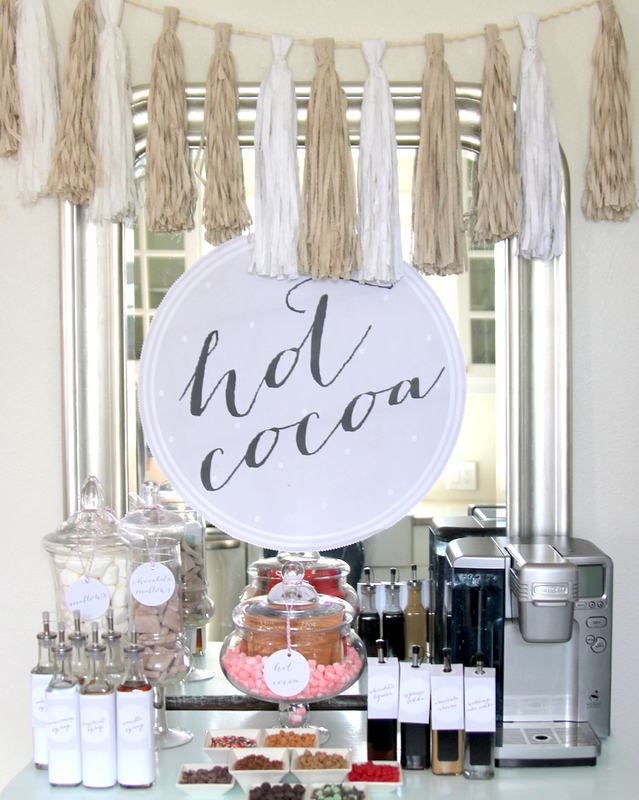 A Hot Cocoa Bar is such a great way to add a touch of cozy warmth to a winter party, shower or even wedding- it is one of those drink stations that I will just keep doing again and again because of how perfect it is for winter! What a great idea! If the drinks tastes even half as good as the pictures look then I know they would be awesome!